Note: As explained previously in this piece, after blind-tasting our way through 324 IPAs over the course of 17 days, we re-assembled the top 25 beers into a conclusive FINALS TASTING of epic proportions. The next 25 ranked beers are the result of that tasting, which was conducted in a single day. Before conducting the finals tasting, Paste contacted all of the breweries with entries among the finalists, giving them an opportunity to send in fresh IPA if they wished—or if they had fresh beer available to send. Most opted to do so, if they were able. So here you are—the 25 best IPAs we tasted out of 324. It should go without saying that making this section of the list means that you are in absolutely elite company. The verdict: Here’s the thing about NE-IPA these days: When everyone in an area is making it, even really good examples are going to fly completely under the radar. Because breweries like The Alchemist, Hill Farmstead and Lawson’s popularized hazy IPA and developed a reputation for it, and because EVERYONE in VT has one of these beers, it’s easy for one from a less hyped brewery to not get the recognition it deserves. That’s the case with Long Trail’s VT IPA, which in all fairness has only existed since the beginning of 2018. But man, they got it right with this one—what one taster’s sheet refers to as a “tropical juice explosion” immediately washes over the palate with big notes of sweet pineapple, mango and orange, followed by a certain bready maltiness. Soft, low in terms of bitterness and generally uncomplicated, it’s simply a very good example of why so many people enjoy NE-IPA. If you blind-pour this beer for someone who likes modern IPA, they’re going to like this. The verdict: There’s something I’d like to call out here, in terms of breweries that had multiple entries in the ranked portion of this list. A good number of breweries placed more than one beer into the rankings, but I have to give props to a brewery like Benchtop that does it with two fundamentally different types of IPA. Whereas their previous Soft Crash was a pretty good mold for what is popular within NE-IPA right now, Proven Theory is instead an evolved form of what we might have once called West Coast IPA, but WCIPA was perhaps never quite this explosive. This beer is massively hoppy, with an eruption of dank, catty and then tropical hop impressions that are almost overwhelming. As one scoresheet reads: “Ultra dank, resinous and weedy, into big grapefruit zest and pineapple juice.” The brewery might not specifically market this beer as 420-friendly, but we’re telling you right now—the potheads in the audience are going to be all about this stuff. The verdict: What’s that? Canadian hazy IPA? Yep, it’s here, and it’s pretty great—just more evidence of the fact that good NE-IPAs are now coming from absolutely anywhere. This lower-ABV example of the style drinks as easily as you’d imagine it probably should, although most of your attention would presumably be focused on the pleasantly complex, assertive hop profile of perfumey resin, which slowly morphs into juicy, slightly sweet pineapple on the palate. It passes all the tests you need to put in front of any NE-IPA: Is this dry enough to be fairly drinkable? Is it something you could finish at least 12 oz of? Etc. And we would be remiss if we didn’t mention that lovely, lovely can. Few pieces of packaging in this tasting were as unanimously praised as the eye-popping designs on both of the Collective Arts entries. The verdict: General Braddock’s was quite honestly one of the beers that helped convert us fully to the idea of NE-IPA a few years ago, and it’s still one of the best (and still somehow underknown) examples of the style around today. The flagship IPA of Brew Gentlemen is bombastically hoppy, with a big, tropical blast on the nose that segues mid-palate into plenty of grass and resin. As one taster wrote: “Smells like a fist of fresh hop pellets, tangerine and passionfruit.” From another score sheet: “Lovely tropical fruitiness without the overpowering grass clippings.” Hell, it even has a little bit more hop bitterness than some of the other examples. Brew Gentlemen continue to crank out quality beers in numerous styles. The verdict: By just about any estimation, it’s safe to call Fremont one of our favorite breweries—they simply have a consistency across numerous styles that few others can match, whether it’s in a style that typically generates hype or one of the many solid, foundational styles they make with a high degree of quality. They’ve been especially dominant in Paste blind tastings of various stout styles, but we didn’t quite know what to expect from Fremont in the land of IPA … especially given that we’ve never had a hazy IPA from them before. Clearly, we should have just assumed the best. Shingle Town was one of the most approachable of all the NE-IPAs in the entire tasting, boasting a wonderfully inviting nose redolent in orange/tangerine citrus, along with grapefruit, white peach and plenty of perfumey resin. Fruit forward but still dry and easy to drink, it’s an absolute quaffer of a hazy IPA. If your typical criticism of this style is that they aren’t drinkable enough, then seek this one out and see if it changes your mind. The verdict: Burial makes a lot of different IPA’s—it sometimes seems like there’s a new IPA offering from them every week—but they made a wise choice when they anointed Surf Wax as one of the company’s two hoppy flagships. Of all their hoppy, somewhat hazy selections, Surf Wax is the one that covers the most bases at once, with the most exquisite balance between contrasting flavors. It’s a little bit of everything: Orange and pineapple juiciness, florals, grass and resin, and even a bit of sweet malt balance as well. Unlike a lot of the other beers in the final, it’s not trying to completely blow the doors off, either—each of the above cited flavors is measured in terms of intensity, or at least they are when compared with some of the other monstrous, double dry-hopped examples. Surf Wax doesn’t feel like something you’re saving for a special occasion and sharing out in 2 oz samples with half a dozen friends—it feels like something you’d drink a pint of, and then order another. And that’s something, for better or for worse, that is often missing in modern IPA. The verdict: This is a slightly confusing beer to look up, as Eugene’s ColdFire originally conceived Tangle of Tigers as a rotating series of IPAs that were color-coded, but our can is from the new “flagship” version of the beer, which was codified into a regular offering thanks to its popularity. And it’s easy to see why this stuff resonated with drinkers—it’s big, bold and delightfully decadent, even among a table packed with other NE-IPAs. Hugely juicy and definitely on the sweet side, there’s a richness to Tangle of Tigers that isn’t commonly replicated elsewhere. The citrus here is vanilla-tinged, with a darkness and a richness that makes one think of blood orange. Beyond that, tasters picked up various notes of melon, papaya and a whole tropical melange, but what stands out most is the chewiness of texture and uniquely rich character. In a lot of cases, “chewy” goes hand-in-hand with NE-IPAs that we find astringent in their grassy intensity, but that certainly isn’t the case here. This one is something unique. The verdict: The thing that a lot of hazy IPA detractors don’t understand about the style is that “haze” is a spectrum, just like any other beer characteristic. All hazy IPAs are not created alike, and they’re not all trying to achieve the same ends—they’re not all even specifically going for “juicy” above all else. River North’s Mountain Haze is a much more subtle, more crisp, lighter, brighter take on what you can label as “hazy IPA,” and that’s what makes it such a lovely beer. On a table full of ridiculously thick, chewy, yeast-choked NE-IPAs, this one is light and supple in texture, with a nose that hits you with a lovely charge of dank, mildly catty (in a good way) hops that then transition into grapefruit zest and spicy resin. This beer is quite dry, unlike so many of the NE-IPA juice bombs, and each sip ends with lingering resin note and accompanying dry finish that just begs for the next sip. It’s another beer that you can drink multiple glasses of at a time. The verdict: If you’d never sampled Green before, it’s sort of funny how the name would probably have you expecting an ultra dank, resinous-type of NE-IPA. Perhaps that was a bit of a joke on Tree House’s part, because the actual beer is one of the genre’s premiere tropical fruit juice bombs, and an understandably legendary product at this point. Fresh Green hits hard in the aromatic department with tons of fresh, juicy pineapple, peach/apricot and passionfruit, which slowly morphs into fresh-squeezed orange juice on the palate. A delicate level of acidity amplifies the fruity impressions in a way that perhaps makes them come off as more genuine, while a substantial amount of residual sweetness makes those fruit flavors seem especially decadent. Texture is another one of Green’s biggest strengths, as it manages to be thick and chewy without being off-putting in terms of its drinkability. There are plenty of reasons why people have been trading to acquire this beer for as long as NE-IPA has commanded hype. The verdict: It’s safe to say that Triple Crossing opened some eyes and made lifelong fans among the Paste staff when not one but two of their beers ended up in the top 5 of our blind tasting of 176 DIPAs. It was one of the most impressive single performances in any Paste blind tasting, and made it only more clear that Richmond, VA is home to some of the best hoppy breweries in the world. For single IPA, Triple Crossing turned to two variations of their intensely dry-hopped “Triangles” series, and although we enjoyed the Citra version, it was the Mosaic Triangles that really spoke to us. As in a few other Mosaic beers in this tasting, it was the greener, danker side of the hop varietal that emerged—or perhaps that was just a factor of what seemed like an outrageous amount of hops. Regardless, this one hits on the nose with a big, perfumey burst of resin, pine needles, grass and grapefruit. Intensely hoppy, with a nose that is immediately distinct, it inspired one taster to write “Woah, huge hops, intensely grassy but actually in a good way.” Another taster in the finals picked up more on the fruity side of the beer, writing the following: “Peach into pineapple into green papaya.” Regardless, there’s no lack of character in this one. The verdict: What’s that? Two clear IPAs in a row? Yes, it is possible for this to occur, even in 2018 … and especially when the brewery in question is Breakside, one of the first of only two breweries to land both of their entries in the top 25. 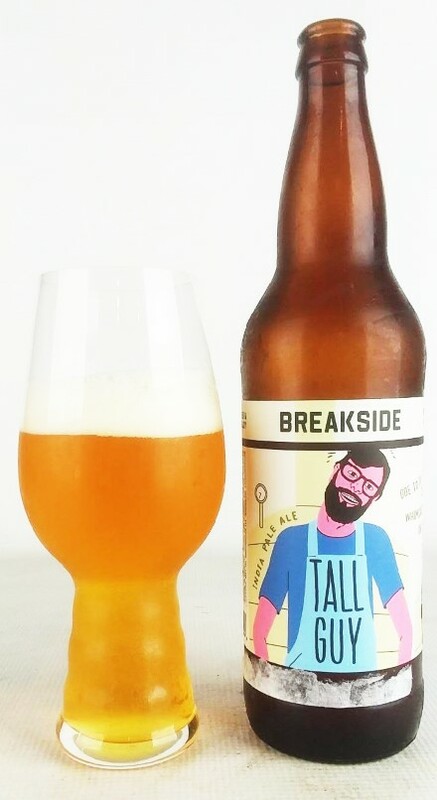 But first, let’s note something: These guys chose NOT to enter their flagship Breakside IPA, a beer that has racked up numerous awards, including a bronze medal at GABF as recently as 2017. 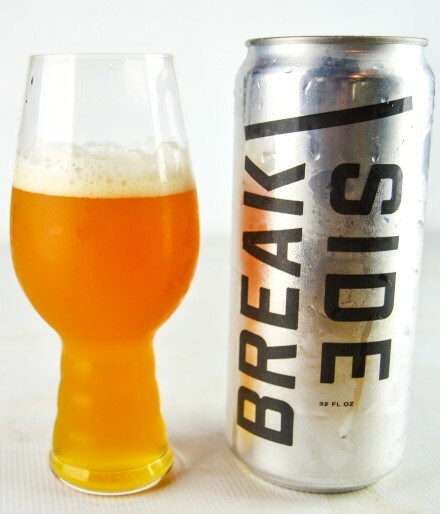 For a beer like that to not be present should be unthinkable, and yet the fact that Breakside decided they’d probably have better luck with two different IPAs is perhaps the most telling sign we’ve seen yet of how this market has completely changed in the last few years. And you know what? They were probably right, given that BOTH of their entries ultimately ended up in the top 14 of 324 beers. How can you argue with that result, right? The verdict: Ah yes, and while we’re on the topic of breweries that landed both of their entries into the finals, and are ALSO from Portland, OR, let’s talk about Great Notion. Yes, that’s right—somehow, of all the breweries that sent in beer for this thing, the only two to get both of their entries into the final both happened to be from Portland—can we officially label it as the IPA capital of the Pacific Northwest? I’m thinking that we probably can. The first of Great Notion’s beers, Space Invader, is packed with a prodigious quantity of Galaxy hops, as the name would imply. The result: Lovely, sweet, soft apricot stone fruitiness that permeates the beer, creating something that drinks equal parts “effortlessly” and “decadently.” Normally, those two things don’t go together, but they somehow do here. As one tasting sheet says: “Extremely light and airy, and so hazy it looks like Sunny D. Drinks super easy.” With slightly bready, doughy notes (possibly from yeast in suspension?) backing up the sweet, juicy stone fruit, this is a surprisingly approachable beer, despite looking like a glass of full-pulp orange juice. The verdict: But really—what’s going on in Richmond, Virginia in terms of its absolute wealth of killer IPA breweries? How did so many of them end up in a city that barely scrapes into the 100 largest in the U.S.A.? We don’t know the answer to that question, but we do know that Final Gravity’s The Doppler Effect is yet another superlative NE-IPA from a town that is absolutely full of them. This one hits with BIG citrus hop aromatics, giving it one of the best noses of all the finalists—lemon, grapefruit and orange are all well represented. From one score sheet: “Perfumey, bright lemon and grapefruit, really crisp for a hazy IPA.” From another: “Massive citrus and tropical fruity nose, into big resin, spicy.” This is a beer that has already won a couple of blind tasting awards among Richmond IPA’s, and we can see why. Even in a particularly crowded, particularly brilliant marketplace, Final Gravity has found a way to stand out. The verdict: Although it’s likely to be lost in the fervor of hazy vs. non-hazy IPA, this was an interesting tasting to check in with the status of “brett IPA.” There were a handful of these entries, but they varied greatly in terms of quality. The worse examples were overly tart, acidic and abrasive, or lost track of the “IPA” side of the spectrum to the extent that you would think those three letters had simply been added as a marketing device. The best ones, on the other hand, formed a true symbiosis between the assertive, funky characteristics of brettanomyces fermentation and the bright, fruity nature of American hops. This one, from Cincy’s Urban Artifact, plays its cards fairly close to the vest and leans hard on a lovely brett beer structure that does most of the heavy lifting for it. Beautiful, funky aromatics of spice, hayloft and herbal notes create a delicate base for judicious hopping, which adds an additional, complementary layer of lemon zest and resin. It’s a beautifully made beer that displays real skill in brett fermentation while including just enough hops to take it to the next level. The verdict: How fitting that of the two brett IPAs in the finals, they end up right here, next to each other, despite actually being fairly different beers. Where Urban Artifact’s brett IPA is what you might call “classical” in its brett character—you’d drink it and think “yes, that’s what brett tastes like”—Monday Night’s Beyond the Clouds is a bit more rambunctious, fruity and experimental feeling. The brettanomyces here imparts a sweet, inviting note of bubblegum fruitiness, which plays well with the tropical fruit impressions you get from an extensive Citra and Mosaic dry hop. The result is both complex and fun—exotically fruity but also subtle in terms of its spice notes, with something similar to coriander or grains of paradise on the back end, combined with citrus and hints of berry. It’s an adventurous diversion from the path of modern IPA that pays off on pretty much every level. The verdict: Our second entry from Breakside in the finals tips the scales at a weighty 7.8% ABV, coming within a smidge of our top ABV limit. Despite that, this isn’t really a big and blustery IPA at all; it would probably be more accurately described as one of the better balanced entries to make the finals tasting. Hazy, but not completely and utterly opaque, this beer feels like a blend of IPA brewing styles on both the nose and palate. Aromatically, there’s a very nice, perfumey bouquet of lemon, grapefruit, woodsy spice and dankness. On the palate this beer is nicely balanced, with perhaps just a touch of caramel sweetness that plays nicely with hops that continue the bright, clean citrus themes, with undertows of dankness and more exotic fruitiness—white grape, perhaps? It drinks deceptively easy for being one of the strongest beers of the tasting, making this perhaps the “most dangerous” of all the IPAs that were submitted. Watch out, if you’re trying to polish off a crowler of this stuff like a certain Paste staff writer did after that day’s blind tasting. The verdict: The stereotype of beers like Scaled—big, thick, chewy, hazy IPAs from breweries like Tree House and Trillium—is that they have zero malt presence at all, but that isn’t necessarily true. Oftentimes they do in fact have some malt character; it’s just hard to notice when you’re being hit over the head with a giant hammer made of juicy hops. That’s sort of the case with Scaled, a lovely NE-IPA that does in fact have a subtle note of toasted malt running through it. But as we said, you’d be forgiven for not really noticing that toastiness, because you’re here for the hops, and they are very juicy indeed. This one packs a wallop of fresh-squeezed orange juice, chased by impressions of pineapple, mango and a bit of vanilla sweetness. There’s also something a bit more herbaceous in there, a grassy character that we tend to find is shared by many Trillium beers, but it’s more subdued here than in a lot of the DDH monsters that get overtaken by their greener flavors. Instead, Scaled is actually very approachable—a juicy, easy to enjoy IPA with minimal bitterness and a whole lot of character. This is one of the best-composed IPAs we’ve had from Trillium yet. The verdict: We’ve said elsewhere in this ranking that in order to be great, an NE-IPA doesn’t necessarily need to be a huge, thick, chewy beer that is as much hop particulate and suspended yeast as it is water … but to be great, these beers do need to be drinkable. And Hi-Wire’s wordy entry is the epitome of drinkability in a hazy IPA, a beer that is assertive enough while also being so ridiculously inviting and easily likable that everyone is bound to enjoy it at least a little. Perfumey and citrus-forward on the nose, this one provides plenty of lemon and tangerine notes to tantalize the drinker, with a bit of resin and spice for the sake of complexity, and just a little bit of residual sweetness. From one score sheet: “Super pleasant, gentle citrus nose. Well-balanced orange, lemon and resin make for effortless drinking.” From another: “Love this. Extra bright hops, light body and goes down so easy.” This isn’t quite the type of NE-IPA that is generating the most hype on ratings sites, but perhaps it should be—a branch of hazy IPA that can bring the juice, but also be genuinely refreshing at the same time. We’d be quite happy to see more beers like this on the shelf, and fewer that are seeking peak turbidity. The verdict: Oh hey there Mass Riot, how you doin’? We don’t often revel in vindication as far as blind beer tastings are concerned, but we can’t help but be proud of this particular beer’s success. After coming in at #1 in our 2016 blind tasting of 247 IPAs, demand for Mass Riot understandably went through the roof—a boon and a curse for Prison City, a small brewpub in upstate New York that didn’t even have any of the beer available at the time. Since then, Mass Riot has built itself into an East Coast sensation in subsequent releases, generating lines down the block in Auburn and standing in the company of the best from Tree House and Trillium on rating sites like Untappd. So yes, it does feel good to have been able to shine a spotlight on what was (at the time) the most incredible under-the-radar NE-IPA in America. But this is two years later, and honestly, in IPA, two years is an eternity. The fact that Mass Riot is still here in the top 10 is just about the ultimate mark of quality, but this beer earns it with sheer vivaciousness. On the nose this one is big and complex, hitting hard with sweet tropical fruit notes (pineapple, mango, papaya). On the palate this likewise feels like a bruiser, bigger than its 6.5% ABV for sure, with powerful tropical fruitiness that is actually backed up by a moderate level of malt sweetness—there’s definitely more malt presence in this than there is in a lot of the other finalists. Overall, Mass Riot has a certain richness to its character—it’s an intensely flavorful beer, and it’s easy to see why we were drawn to it as our #1 IPA in 2016. A few years later, it’s just as amazing. Prison City has grown substantially in those years, so let’s hope that Mass Riot sightings continue to become a steadily more common occurrence. 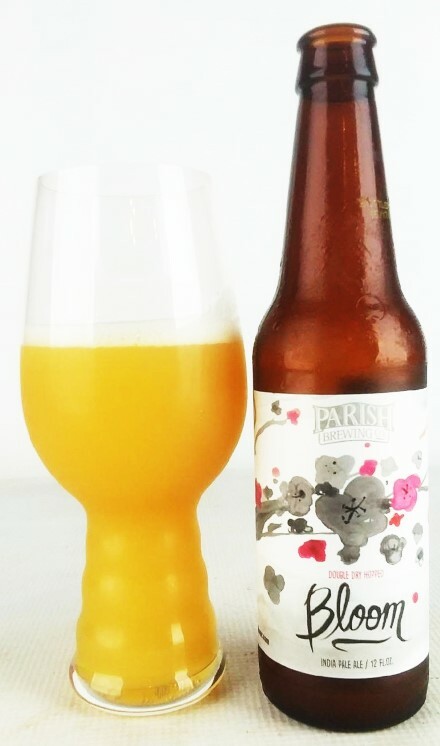 The verdict: And just in case you thought we didn’t like anything with “DDH” in the title, here’s one that we all loved … unsurprisingly from Parish, who were just outside the top 10 in our blind tasting of 176 DIPAs, and again in the top percentiles of our tasting of 151 pale ales. They’ve been right on the cusp for a while, but it was the DDH Bloom that put them over the top. This is the kind of beer that makes it clear why Parish beers are so sought-after in the Southeast, and also justifies the NE-IPA style itself on many levels—it’s as beautiful in terms of textures as it is in flavors. DDH Bloom is a true juice bomb, hitting hard with impressions of orange, pineapple and peach nectar, before segueing into some seriously dank notes as well, all complemented by a wonderfully smooth, creamy, soft texture that is inviting rather than abrasive. From one score sheet: “Dank, citrusy, peachy and sweet. Intense, huge flavors.” From another: “This one has ALL the fruits, plus plenty of dank.” It highlights the best aspects of a DDH hop rate while avoiding the most common pitfalls of being overly vegetal or gritty. This is a beautiful beer. The verdict: In terms of breweries we “discovered” in this tasting, it feels like Four Quarters has a chance to be the breakout “Prison City” of this particular group. A relatively unheralded brewery, landing both of its beers in the top 31 out of 324? That’s pretty good, but when one of those beers is #4 of 324, that’s really something. We have Vermont’s wealth of breweries to thank, but even in some exalted company, Four Quarters really stood out among the rest—and particularly with Phaze. This beer is everything you want in an NE-IPA: Soft, approachable, smooth and slightly sweet, while being packed with fruit. From one score sheet: “Very little bitterness, sweet and creamy, loaded with peach, apricot and passionfruit.” From another: “Chuggable. Beautiful tropical and citrus juiciness.” From yet another: “Just a solid NE-IPA all the way around.” This beer is the result of what happens in a Paste tasting when all the tasters agree on a superlative beer—it ends up with very high scores. We look forward to trying a whole lot more from Four Quarters in the future. The verdict: If you haven’t heard of California’s Green Cheek Beer Co., it’s not all that surprising—the brewery just celebrated its first anniversary, and has just started gaining attention as of late. But people who are paying attention to the beer industry know what’s up, and have been expecting great things in terms of IPA from this brewery from the very start, thanks to the fact that it was founded by the former brewmaster of Anaheim’s Noble Ale Works, themselves a brewery that has stacked up numerous awards for classic West Coast IPAs. And to an extent, that’s what Radiant Beauty is—but it’s also so much more than “West Coast IPA.” This is the absolute best clear IPA we sampled in this blind tasting, and it hits the palate with a singularity and clarity of purpose that was unmatched anywhere else—something we noticed when we praised the same beer a month ago at the Firestone Walker Invitational. One of the score sheets describes its flavors at one point as possessing “piercing citrus,” and that’s really the word for this beer—it’s a bright, sharp spearhead that cuts you to the bone with brilliant hop flavors. Hugely tropical and bright on the nose, it possesses intense notes of grapefruit zest, pineapple juice and resin, with a notable amount of bitterness (at least in comparison with most of the finalists). It’s crisp and extremely drinkable while still being informed by everything we’ve learned about using hops in modern IPA brewing. This beer is the ideal clear IPA—assuming you really love a big charge of fruity American hops. And we do, so there. Expect to hear a lot more about Green Cheek and this beer—which also just won a medal at the World Beer Cup a few months ago—in the next few years. The verdict: The Bruery’s hoppy spin-off, Offshoot Beer Co., didn’t necessarily get off to the smoothest start. Their first releases didn’t quite set ratings sites ablaze; nor did the beer geek literati seem taken with the idea of a company that had long resisted IPAs dipping a toe into the arena, and starting right away with NE-IPAs. But here’s the thing—it didn’t take long for Offshoot to figure things out. Before long, these guys were releasing very, very good hazy IPAs into the world in limited release, whether people were recognizing it or not. And as of a few months ago, Offshoot made the best decision they’ve made yet as a company by choosing to name Relax [It’s Just a Hazy IPA] as their first ever year-round beer. That could not have been more well-chosen. This is a lovely beer, and one that encapsulates just about everything we like about hazy IPA. Extremely soft, pillowy smooth and lightly sweet, its hop-driven fruit flavors are to die for, to the point that one taster’s score sheet describes it as “the ideal hazy IPA.” To quote from another: “Velvety smooth, big stone fruit (peach/apricot), orange and pineapple juice, but not sickly sweet.” The mouthfeel here is particularly lovely, perfectly smooth and lacking the grittiness and acidity of similar beers with too much particulate in suspension. One thing we will note: This beer, like so many in the style, is completely different when fresh. After the finals tasting, we had a chance to sample one that was 2 weeks old next to one that was 8 weeks old. The differences were astounding, so we can only urge you to look for freshness dating. But fresh? This one is simply divine. The verdict: When you conduct a blind tasting of 324 beers, the #1 entry has a tendency not to be something entirely outside the box. Rather, the winner of this kind of tasting is usually the beer that most perfectly exemplifies the qualities prized by the judges—in other words, it’s the beer that everyone can agree on. It’s the beer that everyone wants to drink more of. And in these 324, that was Great Notion’s Ripe, hands down. Everything I write about it will sound like an echo of the compliments that I’ve paid to other beers through numbers #50-2, and that’s no coincidence—it’s the reason the beer is here. But that doesn’t make them any less true; Ripe is simply everything that you want in a NE-IPA. Loaded up with Citra, it presents a hugely tropical hop nose, with notes of mango, papaya, pineapple and more musky, exotic fruit notes that are difficult to put your finger on. Pineapple juice is huge on the palate, in an initial sweet rush that is particularly decadent, before a subtle bitterness arrives to keep things from getting out of hand. Texturally, it has the softness you want and a degree of chewiness, but it doesn’t feel choked by excessive yeast or hop particulate. One taster who was particularly taken with Ripe declared in his notes that it was “proof text for the style” as a result. Drinking fresh Ripe is a sinfully delicious experience, worthy of a pilgrimage to Portland … where four of the top 25 happen to have originated. If you have regular access to these beers, you are lucky indeed. And so, we finally draw this remarkable, palate-wrecking tasting to a close. Ultimately, it took 17 separate days of tasting in order to get through these beers, and we’d be lying if we said it was easy or universally pleasant. It was an exhausting, marathon of a tasting—one so large we may never attempt one on this scale again. But at least we achieved some interesting results, right? Ultimately, does that mean the winner should be considered the end-all, be-all of every IPA in existence? Hardly. Personal taste will always determine your own favorite IPA, and the term “IPA” itself has become so wide-reaching that the experience of drinking a great clear IPA is hardly comparable to the experience of drinking a great hazy. We hope you’ll find the above list useful in tracking down great examples of both—not to mention other spin-offs, like brettanomyces IPAs. In the end, there’s one thing we can say for sure: We love hops—even after drinking 324 IPAs. And that might be the most amazing thing of all.